This new release contains: KDE Frameworks 5.33.0, Plasma 5.9.4 and Applications 17.04.0. All of this is still built on top of Qt 5.7.1. A Plasma5 Live ISO image will follow shortly in the usual location. What’s new in KDE 5_17.04? The ‘deps’ section has one recompiled package (because of incompatible library updates in slackware-current): dvdauthor, and five upgrades: accountsservice, frei0r-plugins, gpgme, ninja and poppler. There’s also one new package (but only for the Slackware -current package set): qtav as a new dependency for digikam. Plasma 5.9.4 is an incremental bugfix of the 5.9 series with small fixes only. See https://www.kde.org/announcements/plasma-5.9.4.php . At first I wanted to wait for the 5.9.5 release which is around the corner but decided not to waste another couple of days. I may add the 5.9.5 later on, since that will be the final iteration for 5.9. I am not sticking with the long term support (LTS) releases of Plasma 5.8, as I think LTS should be targeting stable Slackware. If you want to know more about the long term support plans, go read: https://www.kde.org/announcements/plasma-5.8.0.php . Applications 17.04.0 is a new major release and marks the transition of yet another pack of applications from the old kdelibs4 to KDE Frameworks (KF5). I should check what’s still based on kdelibs4 sometimes… can’t be too many left. See https://www.kde.org/announcements/announce-applications-17.04.0.php . And the release notes give more detail about the changes in packages. Since k3b is now part of the Applications suite, I have removed the package that I had added to ‘applications-extra’ (which was based on a git snapshot). Another package which is no longer part of my ‘ktown’ set: kajongg (it requires python3 now which is not part of Slackware). And two packages are no longer shipped because their sources are no longer part of Applications: pim-storage-service-manager and kommander. In ‘applications-extra’ I added the latest releases of krita, the KDEvelop suite and of kpmcore (the partitionmanager core libraries). I rebuilt digikam against qtav. The newest calligra was already added last week as part of a package rebuild, caused by slackware-current library updates. Worth mentioning is that calligra, krita, ktorrent, partitionmanager, skanlite and the KDE Development Suite in ‘applications-extra’ are all KF5 based. In ‘kde4-extragear’ I have added audiocd-kio4 and libkcompactdisc4 which are built from the kdelibs4-based Applications 16.08.3 sources. 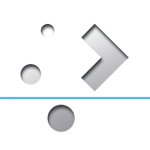 All of audiocd-kio4, libkcddb4 and libkcompactdisc4 packages are (only) required by Slackware’s kaudiocreator. Upgrading to this KDE 5 is not difficult, especially if you already are running KDE 5_17.03. You will have to remove old KDE 4 packages manually. If you do not have KDE 4 installed at all, you will have to install some of Slackware’s own KDE 4 packages manually. Luckily, KDE 5 is mature enough that there’s almost nothing left from old KDE 4 that you would really want. Posted: 20 April, 2017 in Slackware, Software. While everything works well, I found a small diffculty which I am unable to resolve myself. Maybe someone found a solution. and then I start kde app (for example kate), I see virtual keyboard on the screen, but it is not “active” when I try to press on it (either with touchscreen, touchpad or mouse), clicks are applied to main window of the program. Not to the keyboard. Anyway, good work again, thanks. dolphin77, it works for me. When I click in the text entry area of an application like for instance ‘kate’, the virtual keyboard pops up and I can click the virtual keys with my mouse (I do not have a touch screen). The clicks on keys are translated into characters that are entered into the ‘kate’ window. Mouse-clicking the ‘keyboard’ key at the bottom right makes the virtual keyboard disappear again. Normal physical keyboard input keeps working simultaneously. The ‘globe’ key to the left of the Space bar toggles through several input languages, several of those are RTL languages and ‘kate’ manages that well. Hi Eric! Thank you for the feedback. It should be my setup then. Great to know that it works. Now have to figure out what is wrong with my configuration. mouse cursor is not even changing to an arrow when i point it above the keyboard. It remains the same like if it was above the text editing frame. simple removing of ~/.kde dir doesn’t help. Need to check if dpi or locale settings influence the keyboard. Will report if find out what it is. Yeah it was old configuration files. After I cleaned plasma and kde related files in ~/.config, it finaly works as it should. Looking at your gpgme package it does seem that this is indeed missing. I tried recompiling PAN, but the compile fails with the same error. I’ve had a look at your source package, but can’t see why the pthread should be missing. I tried re-instating the patch that was commented out (clutching at straws here!) and that has also failed. Any pointers? PAN update: I’ve found the problem. Apparently libgpgme-pthread has been removed from the gpgme package upstream. It wasn’t PAN that was complaining about its absence, but one of its dependencies, gmime. Rebuilding and upgrading gmime before compiling PAN solved the problem. Thanks for the great update, I noticed you have breeze for kde4 applications built. I was wondering if you could also build oxygen for qt4 applications, which I think can be done in the same way as breeze. I prefer oxygen and still have some qt4 apps, and it’s kinda feels wrong to have my gtk2 apps in oxygen-gtk2 and then use qt4-config to choose gtk+ and then have my qt4 apps in oxygen via oxygen-gtk2. No biggee if you don’t have the time, I understand. pataphysician I will see what I can do for the next update of Plasma 5. Gérard good catch about kdesu. I will add the new krudader in my next batch, and also I will recompile the 64bit calligra for Slackware-current. Hi Eric, I installed this update a couple of weeks ago and everything is fine, thanks as usual for a great job! Gérard – both json-glib and krita updates are scheduled here. My May 2017 ktown release will just have the newer Plasma 5.9.5 (plus sip, json-glib, krita, krusader and a rebuilt calligra). I do not know if I have time after this week so I am pushing the updates no later than this weekend. Ricardo, why not https://download.kde.org/stable/kirigami/kirigami2-2.1.1.tar.xz ? I tried kirigami2 at first but it didn’t work, that’s when I found that import line and tried the older version. Ricardo, it does not make sense to just add kirigami 1.x. The 1.x versions are no longer developed. I would rather add both kirigami and kirigami2 at the same time. I understand that kirigami 1.x is still needed by the lookandfeelexplorer, but I also assume that that is bound to change in future. I’ll see what I do for my next batch of updates (the May updates just went out the door). I agree, no point in compiling both versions. But I took a look at your plasma-sdk-5.9.5 package and it still imports 1.0, it seems they ported to 2.0 only on master git. Maybe you could wait till plasma 5.10 comes out before packaging either version, as kirigami seems to be required by this program only. Hey! Is anyone else having problems with the meta/super/windows key? Righter after logging in it works fine, but then it stops working and I can’t open the menu/launcher with the super key. Plasma 5.9.5, Slack 14.2. Btw thank you Alien for your packages!